The Shockoe Bottom area of Richmond, VA has a great new option for foodies seeking out something special. Chef Micah Crump and the rest of the 20/20 Experience staff have set up shop in both Loft Seventeen and the newly opened Shockoe Steakhouse on 14th Street. It's their belief that the Shockoe Bottom area of Richmond has been hungry for food prepped in their style for too long. They're definitely bringing something not seen there before. 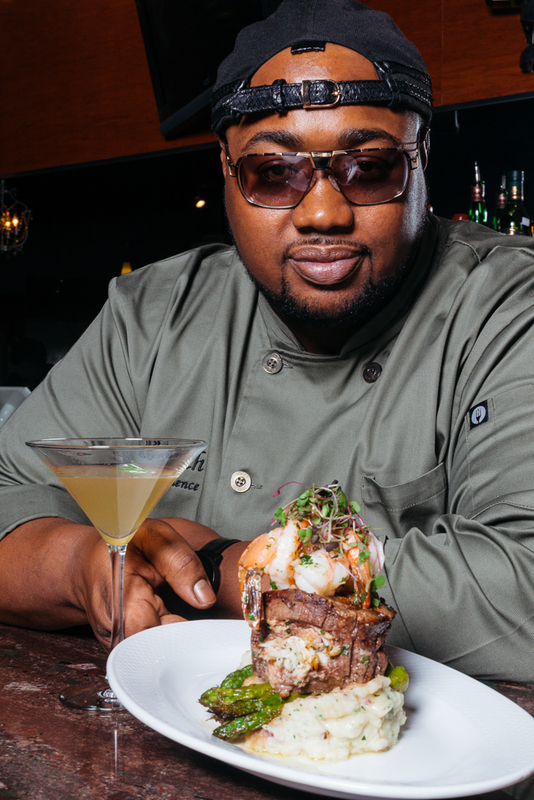 I dropped in with a friend of mine, Cayman Wade, to sample some of the menu items from Shockoe Steakhouse and get to know Chef Crump a little better. That's a wrap for dinner service for us. Thanks a ton to @2020experience @loftseventeen and @shockoesteakhouse for the hospitality and the amazing food! Won't be the last time @thomaswilson2 finds himself in your neck of the woods with service like that! Without giving too much away, the play between citrus, spice and bourbon is an awesome combination. Take these down with an old-fashioned to REALLY taste the subtle nuances in this dish. Bring the wet naps, it could get messy. With my palate primed and ready, the next plate to hit the table ended up being the star of the show. I don't know if you've ever had a burger patty made from prime cuts of meat before; it's something you have to try. This NY Strip burger absolutely floored me. "We ground up a NY Strip steak," Chef Micah explained. "topped with gorgonzola and onions, with a lobster tail." As a play on the classic surf & turf that lives at any steakhouse, this burger with a butter sauce stands out; "I just try to use my own flavors. If I like it, I think [the customer] will like it." No issue there: we love it Chef. LOVE it. We're wrapping up our evening in #RVA with @2020experience and @shockoesteakhouse but #Chef Micah wouldn't let us leave without this insane #crab stuffed filet topped with sauté #shrimp #. Don't bite your screen, aight? But stop through if you're in #Richmond and tell em #yougottaeatthis sent ya! I couldn't bring myself to eat another bite after that burger, Thomas is all about that portion control for the 99 & the 2000. That means Cayman had to step in and take one for the team... Such a terrible fate, no? Her thoughts on the crab stuffed filet were simple. "The filet was very tender," she explained. "I thought it could've used a little more seasoning. The sauce was a really nice contrast to the other flavors." "I would definitely go back," Cayman said. 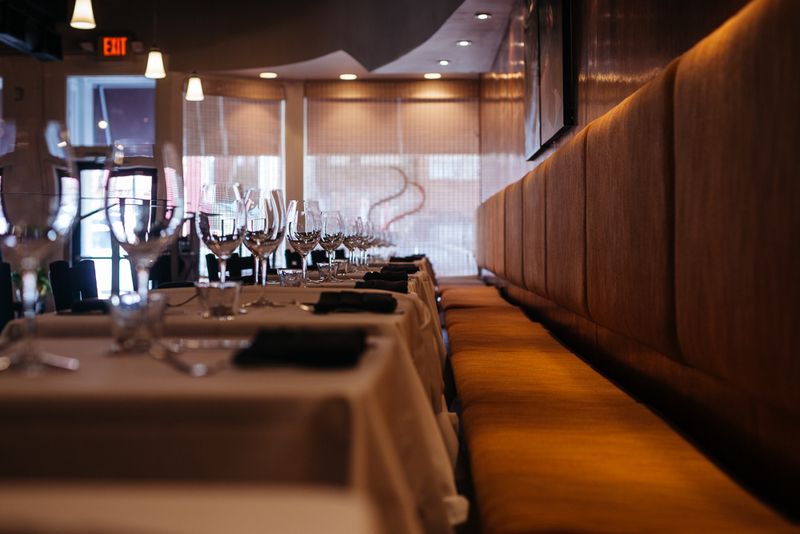 "The atmosphere was casual fine dining; they have a nice staff and they have great food."